If you’re looking to build your own custom home, you will find that your financing options are different from buying a finished property. Traditional high-street lenders will only lend on properties that are completed and habitable, so you will have to look elsewhere for funding if you don’t have cash assets to fund your build. In this blog, we’ll discuss the various custom build options, and how they impact funding. Here are some things to consider when building a custom home. Do you have your own home to sell? Are you renting/other (e.g. staying with family)? Do you have your own home and are not planning to sell? Are you renting or staying with family? Do you plan to sell your home to fund the new purchase? How much funding will that provide or do you have savings? Where will you live during construction? The property will not be ready or suitable to move into for a period of time until completion. If you sell your home before you can move in, where will you stay? How will you pay for this? What if you can’t sell your home, how will this impact on your finance plans? If you sell your home, how much equity do you have? Will this be enough? Do you have to give notice on your rental property? How will that work with your move-in date? What about your furniture – will there be storage costs? 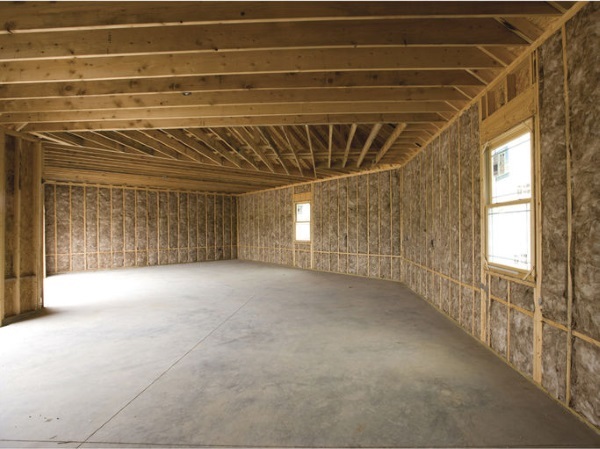 These are practical considerations to look at when building or working on a new home. Developments can be delayed, sales can go wrong, and it may cost more than you think. Do you want to/can you move into a partially completed home, whilst continuing to build? Additional costs for storage, renting property, ending contracts early, or bridging loans if you cannot sell your property in time, should all be factored in. There are funding options for custom build homes, but normally you will be expected to have higher reserves of cash available. This section will look at the options available to you based on the type of purchase, and the cash deposits required for each. Self-build properties are those where an individual buys a plot, upon which they arrange for a bespoke home to be built. They can be involved as much or as little as they want in the actual build, but have overall design approval. Mortgages for such properties are usually contingent on staging points for release of funds, therefore you may need a large cash flow to manage bills before any mortgages funds are released to you. Sometimes, however, you can find a mortgage lender who will pay in-advance rather than in arrears, which helps with cash flow. This is the riskiest in terms of cash flow and over-spend potentials, but gives the most potential for bespoking the whole building to your needs. This option is NOT available for mortgages for flats. These are plots which are sold by a custom build developer where the foundations are laid, and then the remainder of the home is yet to be built. Again, the customer can be involved as little or as much as they want in the build process. The process for funding would work as self build. You may, however, be tied to the existing layout, so there is less room for changing the footprint than self build. This option is NOT available for mortgages for flats. Here, the developer would have built the foundations and the shell of the property, and the interior will be ready for you to fit out. You still cannot obtain a traditional mortgage as the property is not habitable. However, this stage reduces the risk of the costs and timeframes, and provides scope for making the inside layout meet your requirements. You will pay for the shell and then pay for the interior fit-out. This option IS available for mortgages for flats. Here the shell of the building is completed, as well as the basic fit out of walls, floors, bathrooms and kitchen fittings, but you have the chance to upgrade or add to these finishings to suit your taste. This is the least risky option, but you have little room for changes to be made. You will be able to get a standard mortgage, but will lose some of the VAT benefits. This option IS available for mortgages for flats. For custom builds and self builds, you will need to have a higher deposit than for a traditional mortgage. Normally this is between 10-20% of the final valuation of the property. As for Mortgage levels, a good guideline is to take 4x your annual income (Single or Joint) as an indication of the mortgage you could obtain. This would be the same for the Self Employed, either looking at your last year(s) accounts or a SA302 copy. Be aware that if you are working your figures to minimize tax payments, you may not be able to obtain as much of a mortgage as you need. Final valuation planned to be £500,000. You will need at least a £50,000 deposit. The remainder is made up of stage payments of £450,000. A household income of around £120,000 would be needed to afford a loan of this level, or a higher deposit. You have an annual income of £75,000, you may be able to obtain a mortgage of £300,000. Your deposit would need to be at least £75,000 to allow you to reach for a property with a potential final valuation of around £375,000. Custom build mortgages could be Accelerator or Traditional. Accelerator mortgages make payments in advance, and only very few lenders can provide these. Traditional custom build mortgages are where stage payments are made in arrears at set points in the build. Here, payments are made at stages in advance of the work being completed. These types of mortgages can help with cash flow, as you have the mortgage payment in hand before you start work. These, however, are not widely available and have very strict lending criteria. Here, payments are made in stages in arrears of the work being completed. These types of mortgages are the normal way custom builds are funded. Here you have to manage your cash flow carefully otherwise you may have to pay out on work before you receive the payments. Interested in finding out your options? We can put you in touch with some custom build specialist mortgage brokers.